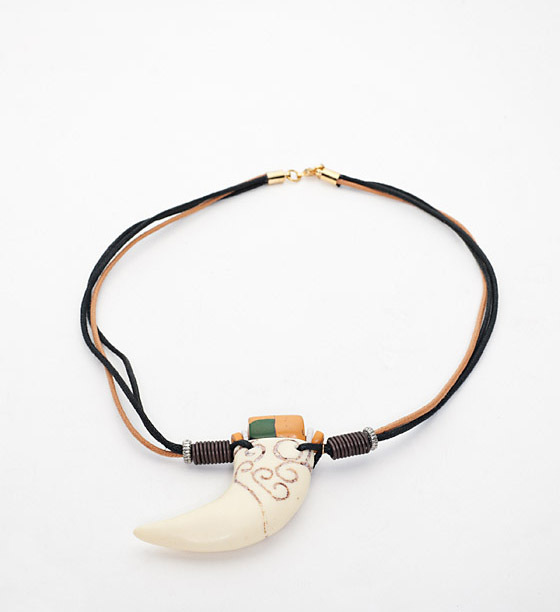 This striking necklace comes with 2-inch imitation animal tooth pendant that is carved with a swirling cloud pattern. This is complemented by a traditional style bead of the Rukai tribe. The chain measures 16 inches but, as each necklace is handmade, allow for some variation in the chain length, tooth length and bead pattern. Wild boar tusks, as well as animal teeth and bones, were important expressions of a man’s hunting achievements.